← Farewell, iO West, I hardly knew you…would close. Second City, we done made friends with BROTHER BRADLEY! Honored to announce that I’m on a new long form house improv team at Second City! Lots of comedy theaters around town have welcomed the iO cast offs with open arms and I think I can speak for all of us when we say thank you. Thank you. Hell yeah! Now come check out Brother Bradley Improv! 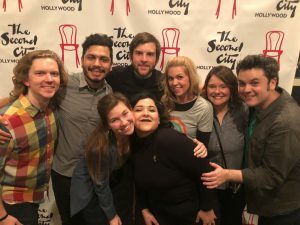 We’re up two Saturdays per month at Second City!! And we can’t help it…we’re dope as hell! !